Driven To Advance LearningOutcomes For All. 2% of American students say they are “never bored” in class. 66% report they are “bored in class every day” and nearly half (47%) of all high school dropouts said a major reason for dropping out was that their classes “were not interesting” (Macklem, Boredom in the Classroom, 2015). This is a critical issue for all education stakeholders because a bored student is a disengaged student. Disengaged students are much more likely to underachieve – and this has a disparate impact on disadvantaged students. NeverBore exists to increase learning outcomes and achievement for all students by offering services that promote and advance active learning strategies that help educators build engaging classroom environments that get rid of boredom. Immerse students in thoughtful role-playing scenarios. Give students messy, real-world problems to solve. Sophisticated academic competitions and purposeful activities. Get students outside the classroom and immersed in real-world experiences. Our team includes an internationally recognized master teacher and author and an award-winning social entrepreneur and designer. Through our combined life experiences both as students and teachers, we are passionate about advancing education across the globe and addressing the pervasive lack of engagement in U.S. classrooms. 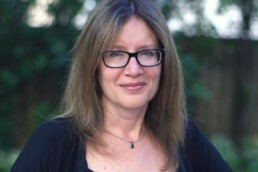 Martha Rush is an internationally recognized teacher and active teaching advocate. She is the author of the book, Beat Boredom and is the current Education Committee Chair within the Minnesota Council for Economic Education, and she holds a Masters degree in History from the University of Minnesota and University of Pennsylvania. 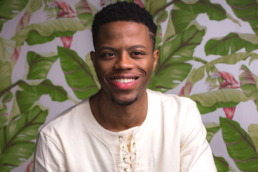 Born and bred on the south-side of Chicago, Derrius is an author, entrepreneur, and web designer whose business ventures have collectively impacted the lives of over 50,000 marginalized youth. In 2015, he was honored by Barack Obama at the White House for his activism in expanding educational access.